We went to Sheung Wan on our last day in Hong Kong to search for Jenny's Bakeshop (which is popular among Filipino and Korean tourists). It's a place where you can buy homemade cookies. However, upon seeing the prices of the goods there and the long queue, we decided not to buy anymore. Instead, we just toured the area until we got hungry. This is how we ended up in Mrs. Vinegar where we had some noodles. 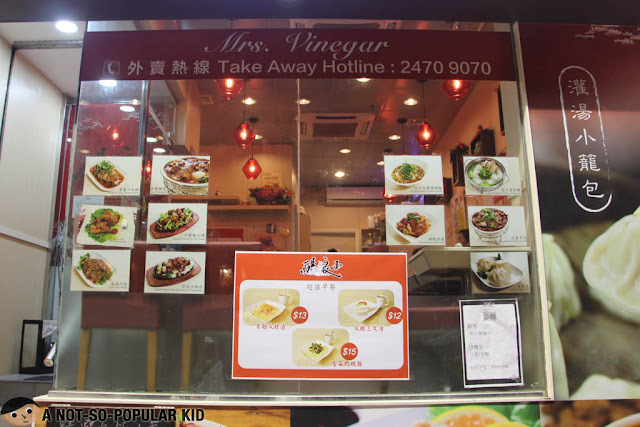 Actually, we found it difficult to find a seemingly good place to eat in Sheung Wan, or maybe we just didn't search in the right areas, but since we were really hungry that time, we gave this place a go. The interior of the place is quite simple and casual, which is similar to some restaurants you see in Binondo, Manila. In fact, you'll catch the same vibe there. People here in Mrs. Vinegar Restaurant seem really friendly and nice, which added up to the "warmness" of the place. 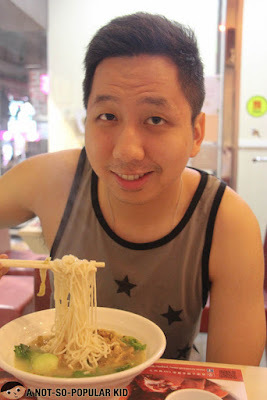 We didn't order much because we were running on a low budget; hence, we just ordered a bowl of noodles for each of us. 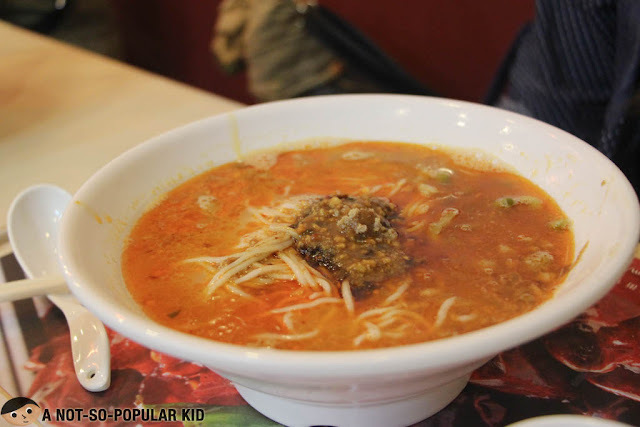 This dish featured an interesting spiciness in its tasty broth. However, I found something odd in the taste, maybe an herb (i.e. cilantro) that I'm not used to. While this may be appealing for some, it wasn't for me. Same goes with the dish below. 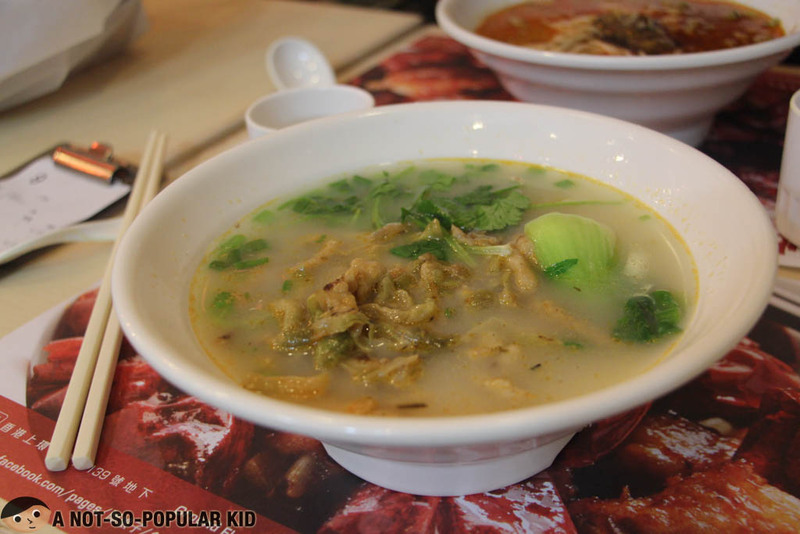 Unlike the one that we had in Mong Kok, this dish had less meat in it. Plus, I didn't enjoy much the thick noodles. Despite this, I found our dining experience near satisfactory, but I'm not attributing this to the restaurant. Maybe, my palate is not yet ready for a taste like that. The noodles that we had here paled in comparison with what we had in Mong Kok, but then again, it may be cause the style was different. It says in Open Rice that the cuisine here is influenced more by Shanghai (of China). 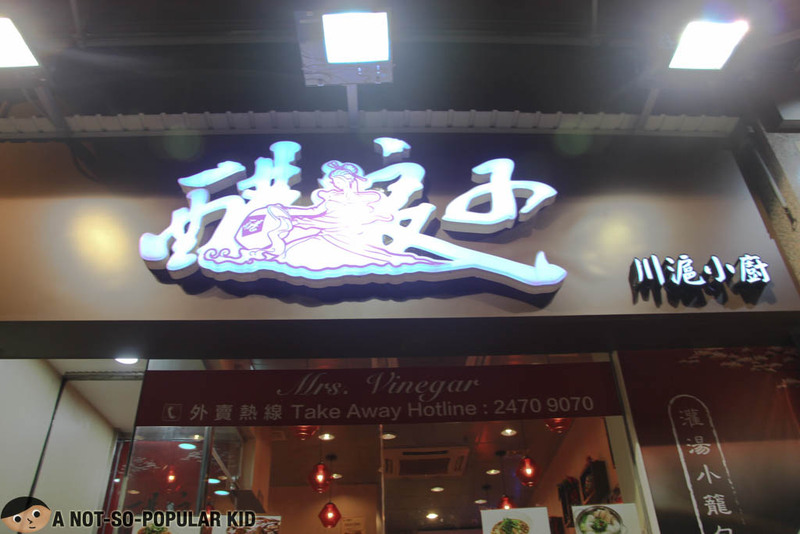 Anyway, this insight is only limited to the noodles because we weren't able to try the dimsum and other dishes. 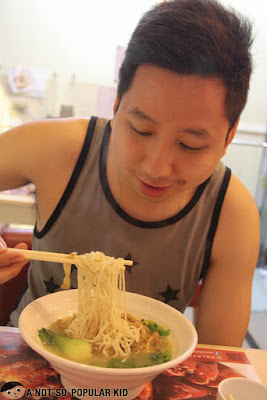 Fresh Noodles from 章記香港仔魚蛋王 in Mong Kok - the first I tried in Hong Kong! 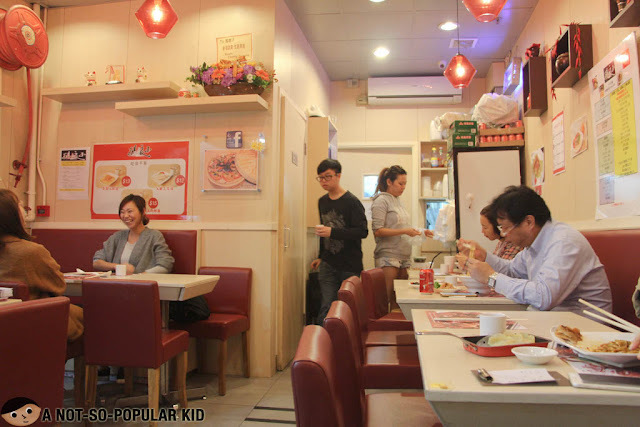 Do you know any good places to eat in Sheung Wan? I would really appreciate it if you'd drop your recommendations.